We planned to have at least two children, though we knew it would likely be more. When our first daughter was two, we decided to adopt again. We wanted her to have a sibling, and wow, did it happen quickly! Then when our second child turned two, we decided it was time to adopt a third time. We were matched quickly, and our son was born a few months later. I was ready to adopt again when my son was two, but my husband was hesitant. He felt our family may have been complete. Why rock the boat? We certainly already had our hands full (something we hear VERY often) with three children under the age of six. We were tired and happy. But I pressed him. I couldn't shake the feeling that our baby was out there...somewhere. 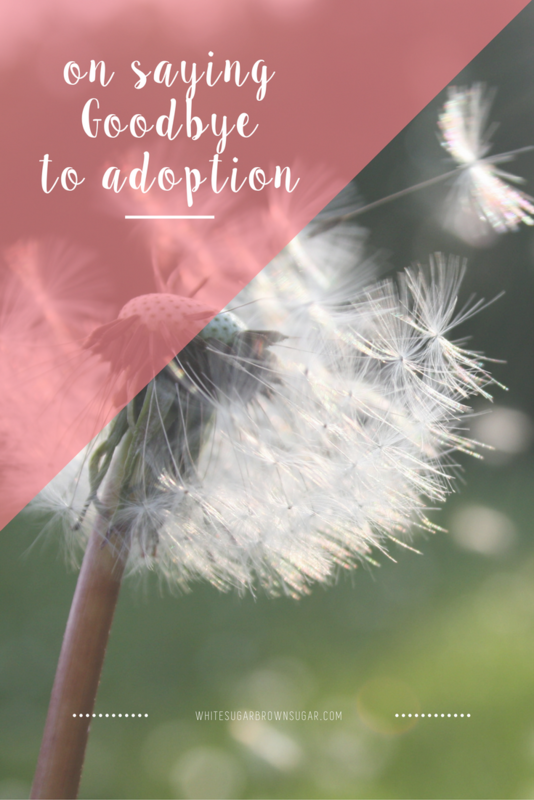 For a year-and-a-half, we discussed adopting again. I was on board, my husband not so much. I pressed (as I do), and he resisted (as he does). Marriage, right? I would bring up adopting again constantly. When our son was three-and-a-half, my husband said we could try to adopt one more child. I couldn't believe my ears! Before he could change his mind, I started calling agencies. The agency we had used for our previous three adoptions had many waiting families, but our social worker suggested a different agency. I gave that social worker a call, and immediately learned that they were open to accepting families. Shortly after, we were matched with a baby due five months later. Each adoption journey has its own challenges and joys. But every adoption is predictably bittersweet. So was the case with our fourth adoption. For the first time, I fell in love with a baby who wasn't mine. This made our most recent adoption our most challenging. Now we're a family of six. Yes, our hands are even more full, as are our hearts. We love our big, beautiful crew. But there is this impending sense of doom and relief: that this last adoption may have been our LAST adoption. Endings are hard, but an ending also yields to a new beginning. To be "settled" into a place where we are complete is quite appealing. Hopping off the adoption roller coaster, one we've been on for a decade (a decade!) is tempting. Incredibly tempting. But I cannot help but feel dread and sadness with each outfit my baby girl outgrows. Each milestone she accomplishes. Is she really my last baby? I mean really. How in the world will I miss having social workers in my house? Court dates? Phone calls with the lawyer? Trips to the social security administration office? To be free from scrutiny and home visits and paperwork---how divine would that be? I don't want to "call it." I'm not ready to. I can't bring myself to say we're finished building our family. I hold on to a glimmer of hope (and fantasy) that God will surprise us with another child (or two). I justify that we have a nice, big, beautiful home with plenty of room for more. I could get one of those monster vans (ahem, buses) to drive my family around town. Or I can settle in, snuggling on the sofa with four children draped over me, popcorn crunching between teeth, and giggles and shushes (because it's NEVER quiet enough to actually hear a movie around here). I can stop thinking "what if" and "maybe" and just relish in NOW and HERE and FINALLY. I don't know that I can be finished. And I don't know if I cannot. Anyone else feeling uncertain? Lost? Relieved? Scared? How do you get off the coaster, when all you've ever known is riding it? Dear Sugar: Summer Reading, Adoption Of Course!